High school student Adam Aleksic is a self-proclaimed “etymology nerd,” and maintains an Instagram account where he shares his investigations into the quirky origins of terms we use for things like dinosaurs, chess pieces, and anatomy–but his favorite hobby is creating maps that reveal the hidden meanings behind names of places we go every day. He has gone on to make a series of the maps for a number of locations, increasingly far afield from his home in Albany, NY. Aleksic created the map of Los Angeles place names, shared by California Sun, without ever once visiting L.A. He just dove in through online records and archives to find the origins of the names. One trend in Los Angeles place names jumped out to him as unique. “I was shocked by the amount of communities named after real estate developers, a pattern I have not seen in any other city so far,” he says. 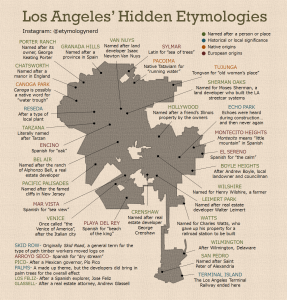 When asked if he has any particular favorites among the names on his map, Aleksic points out Tujunga, which comes from the phrase “old woman’s place” in the indigenous language of the Tongva Native Americans who inhabited the region. 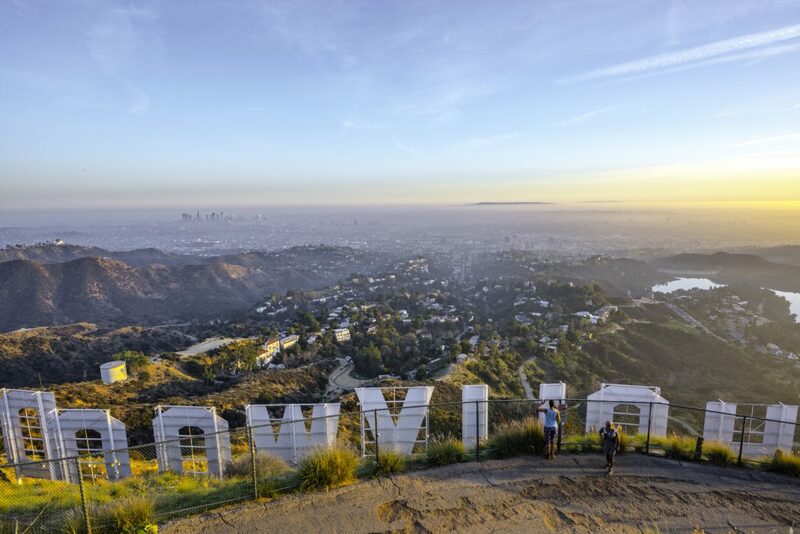 Other Tongva names for locations that we still use now include Pacoima, Topanga, Azusa, Cahuenga, and Rancho Cucamonga. RELATED: Why Is Riverside Called Riverside? Do They Still Make the Paper Edition of the Thomas Guide Maps?